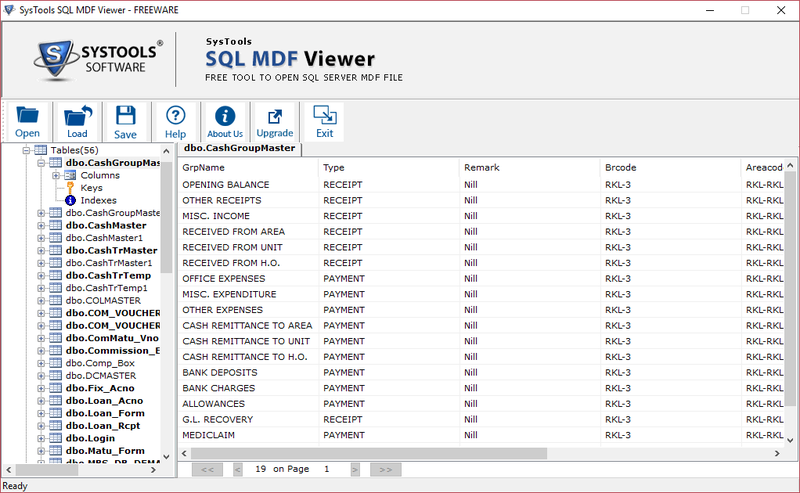 The free SQL MDF file viewer software open MDF file & list each and every table with its associated components such as views, stored Procedures, Rules, triggers and function etc. In depth analysis of the components can be done such as you can read the "View" and stored procedure script instantly as well as what triggers and rules are applying on the particular MDF database. The software allow you to save your scanned MDF File in .str format.This will help you in scanning the same file again & again.You just have to load that .str file and preview all the MDF components. MDF File Viewer software provides you an 'Auto-Detect' option, in case you dont know the SQL Server version of MDF File. You can simply select Auto-Detect in the software and it will identify the exact version of MDF File. 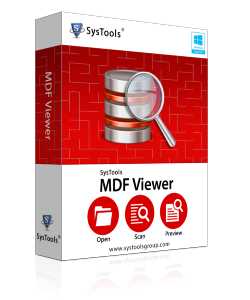 MDF File Viewer previews all the functionalities and preview all the components of MDF Database file with so much ease. You can open MDF File of SQL Server 2016 & below without having SQL Server Environment. MDF Viewer Tool provides Quick or Advance scan options for scanning MDF Database file.The Quick Scan option of the software enables user to view normal corrupted MDF File whereas Advance Scan enables user to view highly corrupted MDF File components. What Is MDF File & Why To Choose MDF Reader Software? MDF File in SQL Server is the Master Database file that contains Schema and the actual data. The software is primarily designed for users who are currently facing issues with the MS SQL Server database and are unable to view their crucial data. The other use may arise when the .mdf gets corrupted or become inaccessible due to any reason. For such purposes, the MDF File Viewer software comes very handy. View MDF file which get corrupted due to header corruption. Simple user interface for users who wish to read MDF database file easily. Save Scan report in .str format for further use. Step 1: Launch MDF Viewer Tool. Step 2: Click Open to load MDF File. Step 3: Browse the location of .mdf File. Step 4:View the scanned report of MDF. 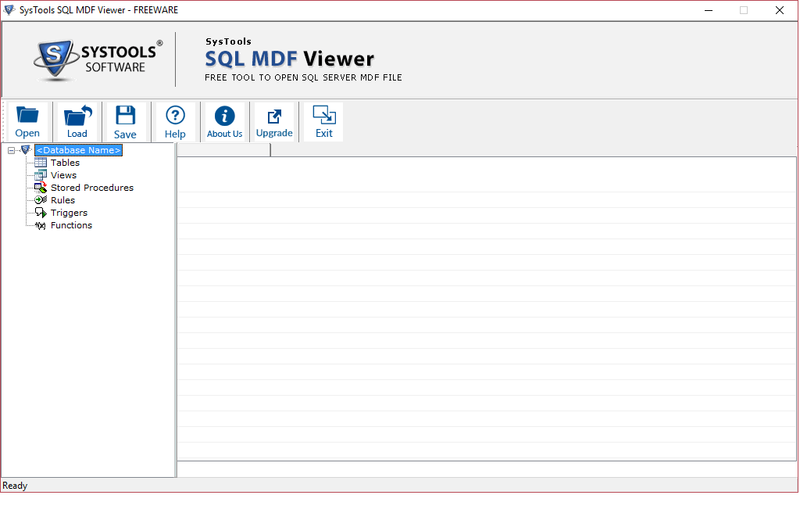 FreeViewer MDF Viewer allows to view the content of SQL Server 2016, 2014, 2012 MDF and NDF files. Can you describe the procedure involved to view MDF files using the MDF Viewer software? Step 3: Tool will preview the scanning of MDF file components. Step 4: After scan completion,you can read content of MDF file. Can I be able to preview the script of stored procedure using MDF Reader ? 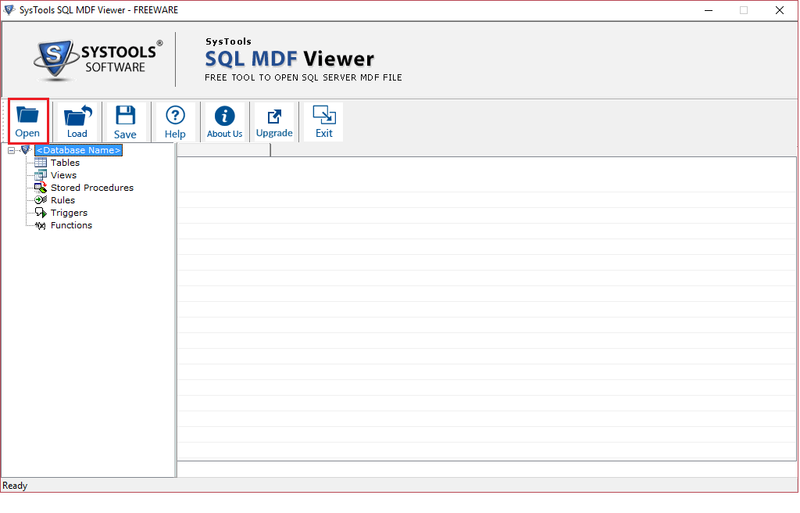 MDF Database Viewer scans and view all database component like Stored Procedure,Tables, Rules, Triggers, Functions etc. Can I be able to open MDF File without SQL Server Environment? Yes, MDF Reader tool allow you to read MDF file without SQL Server Environment. I have multiple ndf database files. Can I be able to view multiple NDF files in MDF Viewer tool? Yes, the software is capable to view multiple ndf file at once. What file size can MDF File Reader software support? MDF File Viewer software does not set any file size restriction on any kind of .mdf files, so you can simply view MDF file of any size. Is SQL MDF Reader compatible with Windows 10? 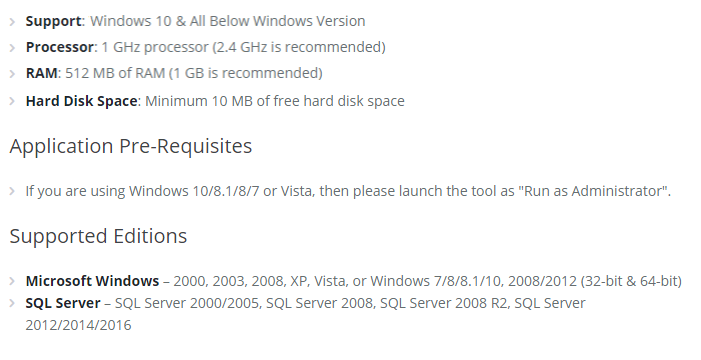 MDF Database Viewer works on all Windows OS versions such as XP, Vista & compatible with Windows 10/8.1/8/7. I have a corrupted mdf file. Does this tool support to view corrupted database file? Yes, MDF Reader software allows you to open & read corrupted or Inaccessible MDF Database file. "As a SQL Server Database Administrator I can easily correlate the MDF file Viewer software with my work. The tool help to open MDF file without missing any single attribute. Thanks for making such a great software!!" "I was in a troubling state as my MDF file is inaccessible while attaching to the database. After a lot of surfing,I came to know about this useful MDF Viewer utility and all my worries were put to an end. The software helped me to view MDF file contents within few minutes. I would highly recommend this tool to all the user !!" 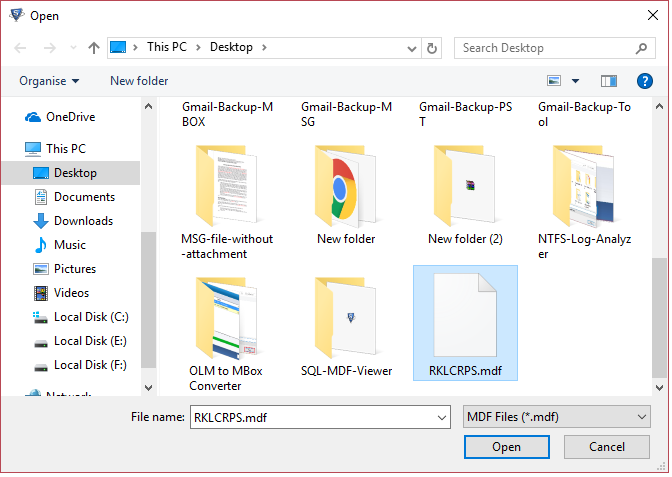 "I was confused as I have to open MDF Files in Windows 10 version but does not have SQL Server Environment. The recommendation to use SQL MDF File viewer to open mdf file proves to be worth as I was able to read MDF File data completely without SQL Server Environment. Thankyou Freeviewer!!!" "MDF Viewer software helped me in opening corrupted MDF file in a very short time. Highly impressed with its features as I did not face any problem while reading MDF file data. Greatly appreciate the commendable work done by the developers!"